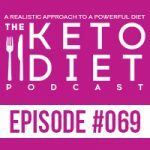 Interview with Craig Emmerich, chatting about how to overcome common keto mistakes, what to do after an accidental binge, how to calculate protein intake without a fat percentage, and so much more. You know that feeling when you’re moving along on your merry keto way, feeling great, doing all the keto things … and then a wild donut appears and you go careening off course, into carb land? You wake up from a sugar coma, trying to piece everything together, retracing your steps in an effort to figure out where you went wrong. I’ve been there before. In fact, I’d be willing to bet that most of us have been there — mistakes happen, and they’re part of the journey! The trick is to learn from those mistakes so that you can move forward and get back to feeling your best. Sometimes keto is smooth sailing, and then other times, it can feel like an uphill battle. 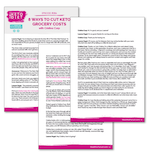 The good news is, you can arm yourself with a solid foundation of keto knowledge and strategies for success to help avoid mistakes, or at least not let them derail you entirely. 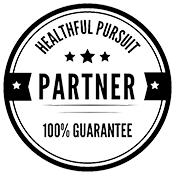 In today’s podcast, I chat with our guest Craig Emmerich, husband to Maria, plus he’s a keto researcher and keto author, who takes a systems approach to help clients heal their bodies and lose weight, leveraging their biology to make it easy. 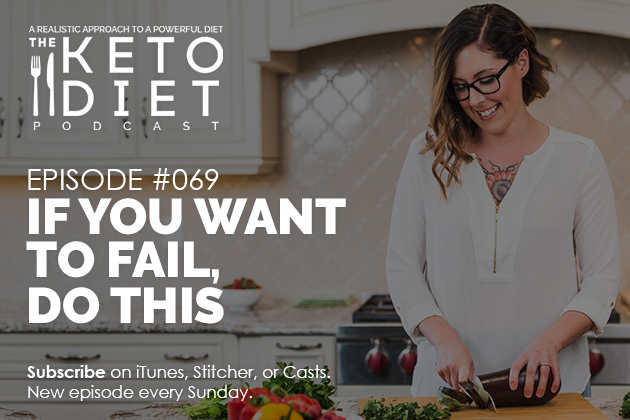 This episode is all about how to navigate keto missteps, hack keto science, use keto knowledge as power to avoid mistakes, and more. Take $10 off your first Butcher Box, plus FREE BACON!